Place spinach on large platter. 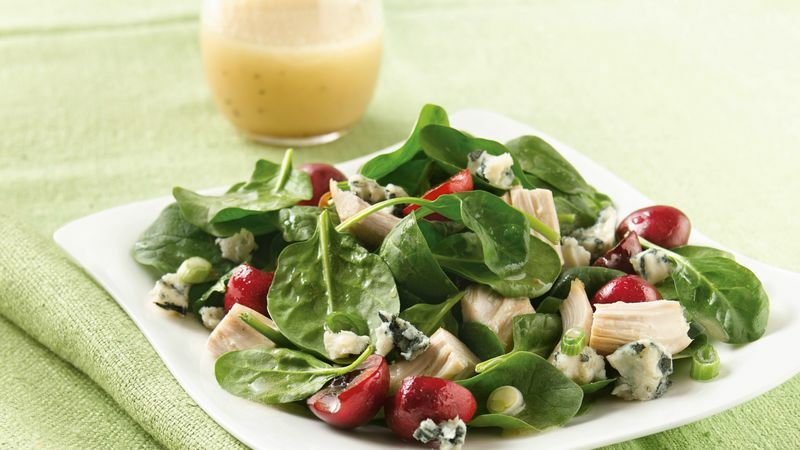 Arrange chicken, cherries, cheese and onions evenly over spinach. Poppy seed dressing or Italian dressing can be substituted for the champagne dressing. If fresh cherries are not in season, use 1 can (15 oz) pitted dark sweet Bing cherries in heavy syrup (drained), 1 cup frozen (thawed) pitted cherries, or 1/2 cup dried cherries.